I would like to personally thank Wilhelm Schachtner for providing this detailed break in information for the beautiful Schachtner brand pointe shoes. 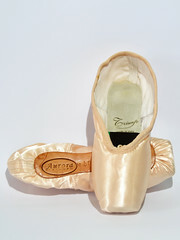 Base on the unique manufacturing process Schachtner pointe shoes are extremely long-lasting and at the same time one of the lightweightest pointe shoes you can buy. 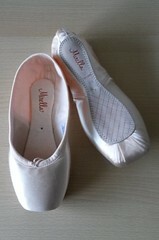 All Schachtner pointe shoes are 100% handmade in vienna-austria. 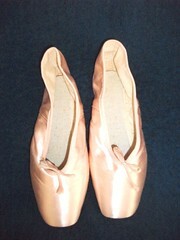 You can chose between 3 different styles of pointe shoes. Style ‘Barbara’ is suitable for a rather narrow foot. It has a smaller forefoot and a smaller platform. 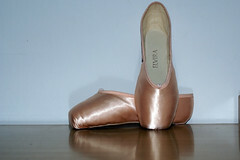 Nevertheless it gives you reliable support and provides a maximum of balance en pointe. Style ‘Sophie’ is styled for a normal foot. The toe box provides a maximum of comfort and support. 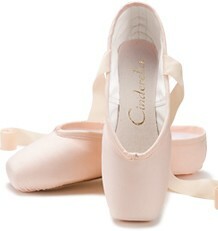 This pointe shoe has a broader and higher platform style than style ‘Barbara’. En pointe it will provide advanced stability but at the same time it do not reduce the flexibility of the dancers performance. 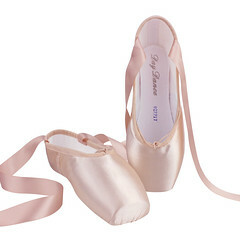 Style ‘Laura’ is for dancers who prefer maximum stability en pointe. The slightly wider toe box (than style ‘Sophie’) and the extended platform are offering the optimum of support for balance and stability. 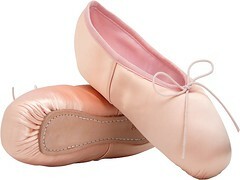 And finally, All Schachtner pointe shoes can be ordered in salmon pink and white. The easiest way for you to order the right model and size of your Schachtner Pointe Shoe is to send us a footprint attached to your order. On your footprint please draw a line between the big toe and the heel and mark the length in centimeters beside the line. This will ensure that, if we get the footprint by email or by fax and after printing it, our copy is the same size like the origninal footprint. Also please write down the circuit of your ball on the footprint. This will give us all informations to recommend you the right model and the right size for your foot. This entry was posted in Pointe Shoe Brands and tagged break in tips for schachtner pointe shoes, german pointe shoes, schachtner. Bookmark the permalink. Has anyone here ever used the version of Schachtner made in San Francisco? I have some old ones in stock with a San Francisco label, and I have been told that this was an independent franchise of sorts using a different sizing system. The sizes may be English, ie, the equivalent of Freed. I’d like to confirm this so I can translate my stock into American street sizes. I remember going somewhere in SF to be fitted and for purchasing them….Stonestown comes to mind. This would have been 30-40 years ago. Me too! From a cute old man in his house! I was just thinking about that! I only bought one pair and those shoes lasted ten years. The satin began to shred to almost nothing, but the foundation of the shoe was indestructible. When they became visually unusable, I would continue to wear them for warm-ups and rehearsals. (I believe) for over 20 years working through a San Francisco distributed of this German shoe. Alas the maker is retiring and now using up the last of my stock, must try Schactner’s directly. So intend to call. One question, is anyone in the US ordering these from Germany. Will be more complicated but so love my dying brand, am willing to give the parent company a shot. Thanks. Also I believe the sizing was English.